Each year approximately 200 babies are born deaf or have significant hearing impairment in Wisconsin. Studies have shown that early detection and intervention dramatically improve language skills, cognitive abilities, and social development. Screening for hearing loss can be done in the nursery before the baby is discharged thanks to recent improvements in technology. The Wisconsin Division of Public Health (DPH) Sound Beginnings Program is charged with monitoring the status of hearing testing in the state of Wisconsin. An electronic surveillance program called We-Trac has been developed to assure timely follow-up testing for those babies that fail hearing testing. The We-Trac database is populated by the collection of hearing results on the newborn screening blood collection card. The hearing results are entered into the newborn screening database at the State Laboratory of Hygiene and then transferred to the We-Trac database, where DPH staff can access the data. Hospital staff can also access We-Trac to check on babies born in their institutions to assure that the testing has been completed, or the status of follow-up testing for those babies that initially failed their hearing screening. Below are a number of key issues regarding hearing screening in Wisconsin. Hearing screening is done in the hospital before discharge. The hearing results are recorded on the newborn screening blood collection form (pink shaded area). The recording/reporting of hearing results must not delay the blood collection and/or sending of the blood specimen to the State Laboratory of Hygiene. For those babies that have hearing testing after the blood sample is taken, use the We-Trac queue to submit hearing results. Be sure that the results, pass or refer, for each ear is recorded properly. Record the proper screening method (ABR or OAE). “Both” is a valid entry. 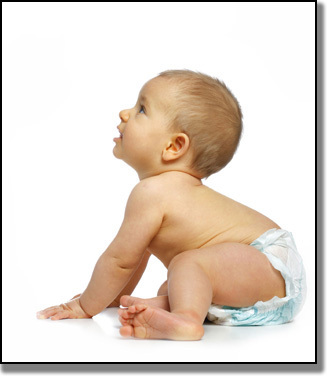 If the baby is not screened, be sure to record the proper reason for not completing the screening. Record any “risk factors” per instructions printed on the inside of the tan cover sheet of the blood collection card. If the hearing screening will not take place shortly after the birth due to an extended NICU stay, record “NICU” as the Not Screened reason on the initial and subsequent specimens. Hearing results can be entered directly into We-Trac by the NICU staff when completed. More information regarding the general benefits of hearing screening can be found on the following website: www.infanthearing.org.